In the morning, we are heading to Shanghai Urban Planning Exhibition Hall, which shows the achievement of Shanghai city planning and construction. Take a visit to Children Palace. Afternoon we are going to Yuyuan Garden, one of the most famous gardens in China. Drop by silk factory, soak in Jade Buddha Temple, famous for the two jade Buddha statues brought from Burma, transfer back to hotel. 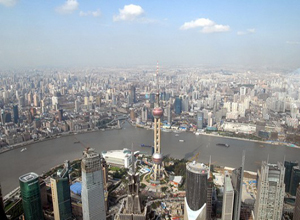 Take a visit to Shanghai World Financial Center, the highest building in Shanghai. Have a cruise tour on Huangpu River. Move on to Shanghai Museum, soak in the Bund, which is one of the most recognizable architectural symbols of Shanghai. Finally come to the famous Nanjing Road to take some shopping.